Another Inception Star Has Joined The Batman 3 Cast!!! Marion Cotillard has joined the cast of Batman 3 or The Dark Knight Rises as it is being called right now. You might remember Marion from Inception. She played Leonardo’s dead wife, Mal. There is no word yet on what part she will be playing but many speculate that it will be the role of Talia Al Ghul. 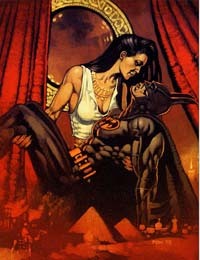 Talia Al Ghul in the DC Comics becomes impregnated by Batman and gives birth to Damian Wayne or Robin as you might know him. But the role she will play is just speculation at this point. We know that Anne Hathaway will be playing Selina Kyle aka Catwoman already. Will Update as soon as we know more. Anne Hathaway Confirms Her Role In Batman 3!! Meow!! Joseph Gordon Levitt In Talks To Join Cast of The Dark Knight Rises!!! For Which Role Though?? The Dark Knight Casts Its Catwoman and Bane!!!! Find out Who Here!!!! This entry was posted on Monday, February 14th, 2011 at 11:31 am	and is filed under Film, News. You can follow any responses to this entry through the RSS 2.0 feed. You can skip to the end and leave a response. Pinging is currently not allowed. « Radiohead’s New Album “King Of Limbs” Is Up For Pre-Order!!! !